When walking the mountain this morning, I snapped a few pix, wanting you to see how Mother Nature alters the course we often take. 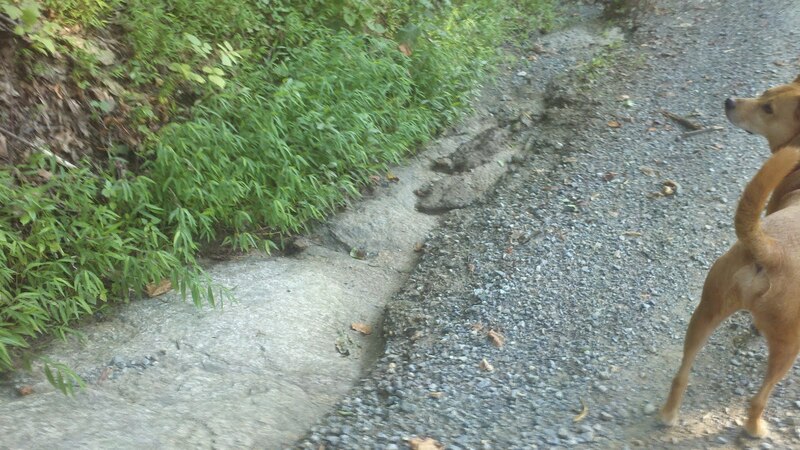 The "gravel" road is literally sitting on top of solid rock. 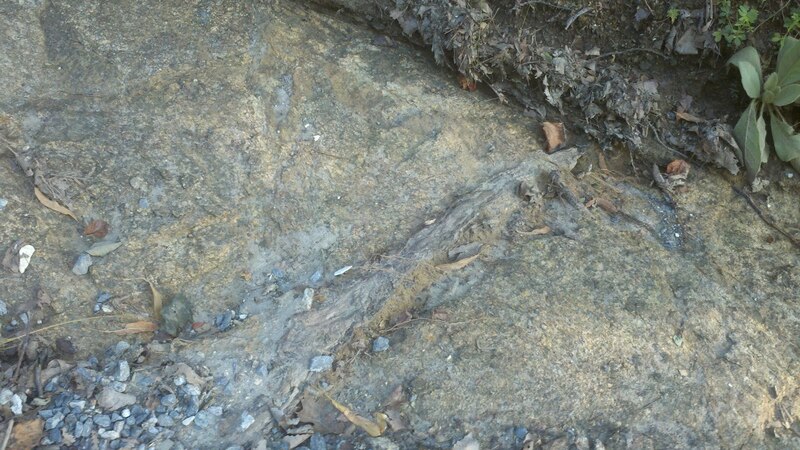 The recent driving rains we've had has unearthed the bedrock that lies below the gravel laid by man. Being who we are we just have to try to improve on perfection. Very interesting to see that transformation. It always pays to be yourself. Dad always watched the way the water ran before he changed anything. lol.. yes, water always wins.